Jonathan is an architect with more than a decade of experience in North America and China. After finishing graduate school in 2003, Jonathan joined New York-based Pei Cobb Freed & Partners (PCF&P), where he spent the following five years working mostly on institutional projects such as Queens Gateway to Health Sciences Secondary School and the Milstein Family Heart Center at New York-Presbyterian Hospital. In 2007, Jonathan became a registered architect in NY and was promoted to Associate at PCF&P. Among his other projects at PCF&P are Jacobi Medical Center Ambulatory Care Pavilion in Bronx, New York, the CHASS Instruction and Research Facility of UC Riverside in California, and the Tivoli Edge, a boundary redevelopment in the Tivoli Gardens in Copenhagen, Denmark. 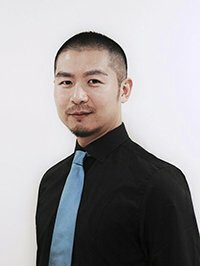 Jonathan moved back to China in 2009 and was employed by Fortune Real Estate Group in Beijing as Design Director leading a twenty-people design management team before he immigrated to Canada in 2012. Prior to joining Thinkspace, Jonathan worked at IBI Group for three years and played a key role in the design of Gilmore Place, a ten-tower residential, office and retail development in Burnaby. At Thinkspace, Jonathan has been involved in the renovation of several healthcare projects, including the BC Cancer Agency CT Scanner in Vancouver, the Dawson Creek and District Hospital Medical Device Reprocessing Department (MDRD), and the Vernon Jubilee Hospital Magnetic Resonance Imaging (MRI) suite. Jonathan received his Bachelor of Architecture from Tsinghua University in Beijing and his Master of Architecture from Yale University in Connecticut. A nature lover and outdoor enthusiast, Jonathan is amazed at BC’s natural beauty and enjoys exploring the wilderness in his spare time.